An experienced West Tyrone optometrist has confirmed what thousands of spectators have been saying for years; over four-fifths of referees need some form of eye enhancement, with many unable to see anything over ten yards ahead of them. Although the news has caused some concern for officials, many supporters have developed a new-found respect for the man in the middle, with the realisation that they have been calling some correct decisions during matches even though they hadn’t a notion what was happening. “We’re amazed that they get anything right. So, fair play to them. Some refs’ eyesight is that bad that they get into the wrong car after a game. How they make it home is another miracle. The Tyrone County Board have agreed to charge match-goers an extra pound during next year’s league and championship games which will go towards buying over 3000 pairs of binned National Health glasses for referees in the county in 2019. Joey Mackle, a Moy entrepreneur, has patented an elastic band which will be attached to the legs of the glasses and wound around the back of the referee’s head. The bands will come in different sizes to cater for different sizes of heads. Meanwhile, umpires have asked for similar glasses for next year. The county board will ask Mackle to look into making glasses with wipers for umpires who tend to look up a lot more. This can be difficult on rainy days or when there are a lot of birds about. 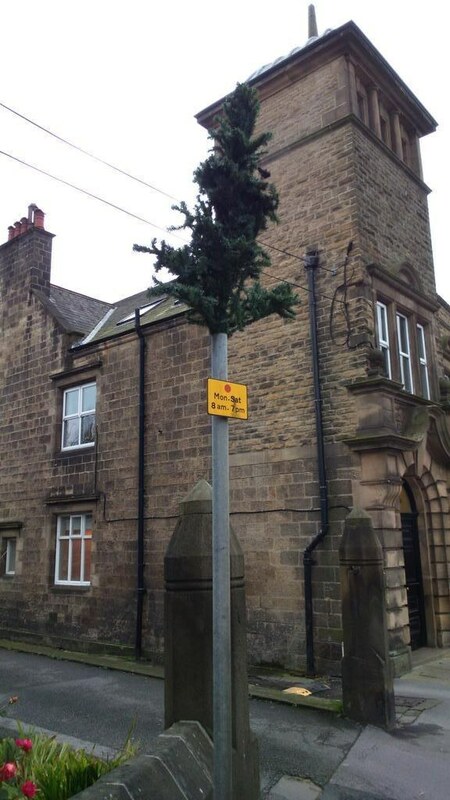 Despite hopes that a new approach for the traditional Christmas tree would catapult Strabane into a modern artistic stratosphere, public reaction to the unveiling of the 2016 ‘bare tree-on-a-pole’ was somewhat muted at a gathering last night. The unveiling, which was carried out by an aspiring actor from the town who has already been an extra on Game of Thrones, received applause from three in attendance, with most simply shrugging their shoulders and heading off for a pint. Strabane Council stated that although it’s not what people maybe expected to see, it was saving the council thousands on lights and baubles which will now be spent on a new slide for the middle of the town. They also called on Clady people not to laugh at it.